When calamity strikes without warning, then everything goes chaotic. The most valuable thing during such natural disasters is information about your loved ones. Lack of this information creates panic and more chaos. Facebook is world’s largest social network, with over 1.3 billion users from all over the world; and they have realized their responsibility to help during such emergency. 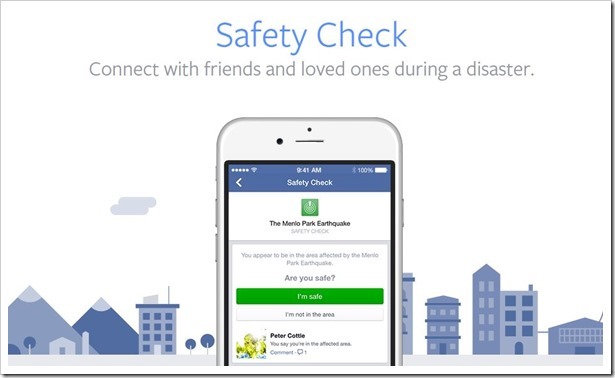 In the same endeavor, Facebook has just launched ‘Safety Check’ tool which will help its users to connect with their friends and family members and assist in removing chaos and panic. This tool will be automatically activated when a natural disaster strikes a particular region. In case you are in that particular region / city, then this tool will ask you whether you are safe or not. Additionally, you can check out whether your friends and family members, who are connected with you on Facebook, are safe or not. The tool will provide everyone with an option to mark as ‘safe’. 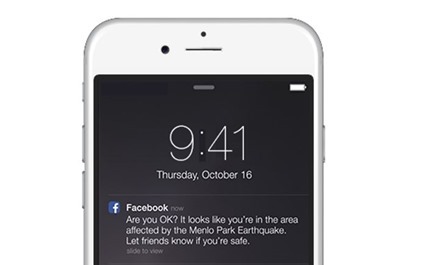 Similarly, when others mark their safety, you will be instantly notified and informed. The biggest problem in such times of distress: communication is effectively resolved here. Here is a short video will explains the process. How Will Facebook Locate You? In case you are outside the affected location, you can simply state that you safe. In their blog post written by Naomi Gleit, VP of Product Management, Sharon Zeng, Product Manager & Peter Cottle, Software Engineer, it has been mentioned that the inspiration for this idea came from Japan, where a major earthquake in 2011 affected more than 12.5 million people. Facebook engineers based in Japan experienced the panic and chaos which followed, and started on a mission to use technology to help people during such disasters. They build a Disaster Message Board which received overwhelming response. 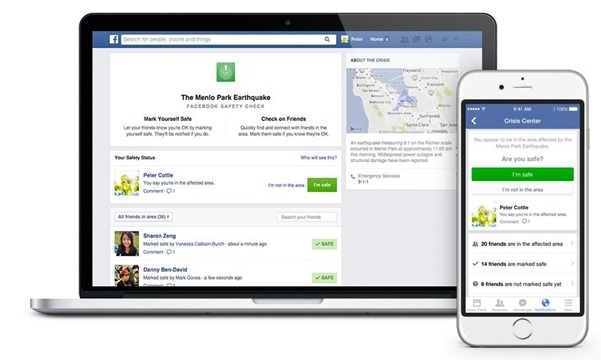 Earthquakes occur frequently in Japan, and their team observed that every time Facebook users first connected on this board and checked the well-being of their loved ones before doing any other action. Such practical implementation of this board inspired the team to create the Safety Check Tool, which would be now available to global users. Android, iOS, Windows and every mobile platform will be supporting this amazing tool. The only constraint which I am able to see right now is Internet connectivity and power. In case a major natural disaster occurs, Internet connectivity goes off the grid, and 4 out of 5 times, power as well. If there is no internet connectivity available, then the smartphone will be out of the access of this tool, and the situation goes back to square one. None the less, Safety Check Tool by Facebook is a brilliant step by Facebook to ensure that its users are connected and notified about their loved ones, without any hassles. Well done Facebook.